Our biggest international cycling sportive, the iconic Cape Town Cycle Tour 2020, previously the Cape Argus, attracts some 35,000 national and international cyclists each year. A one-day, 109km cycling extravaganza along the majestic coastline of Southern Africa, it is quite possibly the most incredible route you will ever cycle, and as it takes place in March each year, it is the perfect start of season tour for European and International cyclists. 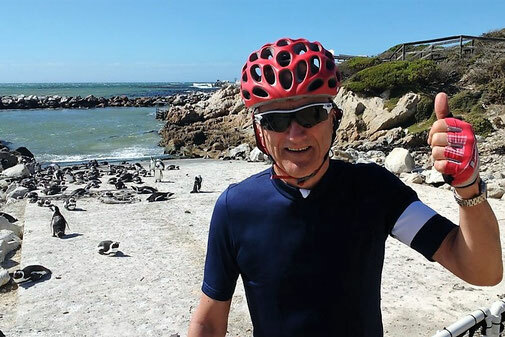 Bicycle Beyond offers a selection of cycling holidays to South Africa for the Cape Town Cycle Tour each year to suit all budgets and all cycling abilities. From short and sporty weekend breaks to our hugely popular Garden Route Cycling Tour, we believe we offer something for everyone, and with guaranteed entries into the world’s largest timed cycle race, you can book your trip in confidence, and avoid the ballot entry system. If you’d love to enter the Cape Town Cycle Tour 2020, but are limited to just a few days, the Bicycle Beyond 4-night Starter Pack could be the perfect choice for you. Including international flights, all accommodations, airport transfers, guaranteed entry into the race, and an invitation to our legendary after party, it is the short and sporty choice for international cyclists. 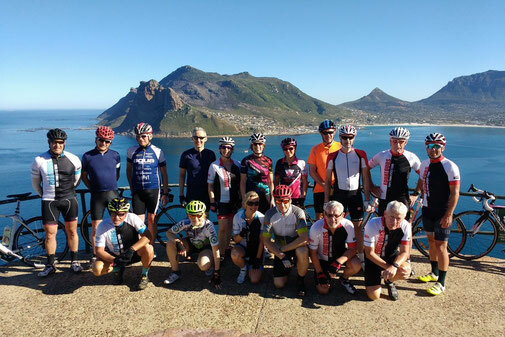 The Bicycle Beyond Week in the Sun Tour includes 7 nights hotel accommodation, all airport transfers, 1 fully escorted cycle training tour with local guides, lunch, and support vehicle, guaranteed entry into the Cape Town Cycle Tour 2020, a KALAS Sportswear Cycle Jersey, and much more. Perfectly organised – it is the ultimate weeklong cycling holiday. If you are looking for an extended stay in South Africa, the Bicycle Beyond Uncover the Cape Winelands Tour ticks all the right boxes. It includes 4 nights in Stellenbosch in the Western Cape Winelands, 4 nights in Cape Town in a cycle-friendly hotel, 3 cycle training tours, guaranteed entry in to the Cape Town Cycle Tour 2020, and everything else you could possibly need for a memorable cycling holiday in South Africa. A challenging cycling holiday for international cyclists who want to start their spring cycling season in style, the Bicycle Beyond 12 Night Garden Route Training Tour guarantees to get you in shape for race day. 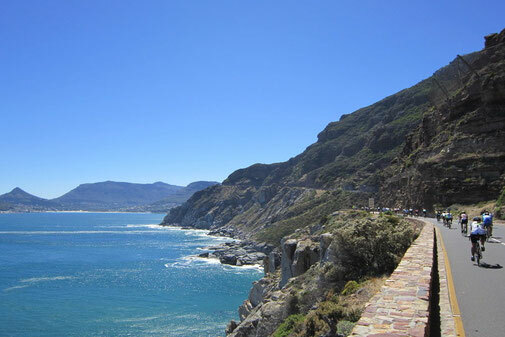 Taking place in the week before the Cape Town Cycle Tour 2020, this magnificent route departs from Port Elizabeth and ends in Cape Town – covering some 750km and stopping at some of South Africa’s most beautiful seaside towns along the way. Demanding but doable, this is a fantastic cycling holiday. 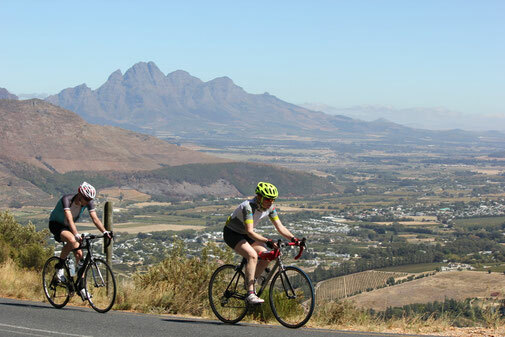 If you have already crossed the Cape Town Cycle Tour off your Bucket List and are looking for a new South African cycle challenge, the Stellenbosch Cycle Tour 2020 could be the perfect event for you. With a new date and new route for 2020, next years event promises to be the best yet, and with guaranteed entries and a great pre-race training package, this fabulous cycling holiday promises to get you in shape for race day on Sunday 19th January. The Bicycle Beyond 10-night package includes all accommodations, airport transfers, registration, 3 pre-race training tours with guide, and finishes with a 2-night stay in Cape Town. Our Cape Town Cycle Tour in cooperation with Equatours.